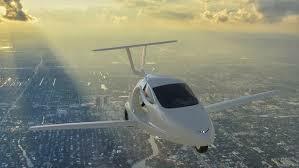 With more than 100 flying cars on the road and in the air worldwide, Molnar believes the fastest way to take this technology to the next level is to get a community of inventors and aviators together and put their vehicles to the test in a competition on the West Coast of the United States. There'll be categories for radio controlled, electric and unlimited flying cars, so there's room for the full spectrum of innovators. This week, Molnar has unveiled flyingcarracing.com, a site that brings together the 22 teams that have been invited to participate in the inaugural race in 2017. What follows is Dezso's own words, describing his vision for the event.